This week's article may rub you up the wrong way. But, it may also be the wake-up call you need to 'turn the corner' and make a definitive change to your life. Personally, I hope it's the latter! If you get offended from reading this article, then I apologise. In saying that, sometimes you need to be told the cold, hard truth. If you resonate with the points that I bring up, then I've done my job. EVERYONE needs to hear this, from time to time. There's a reason everything happens in life. Too often people make the choice to blame others in life for the decisions and outcomes that happen to them. You got your job because you applied for it. You live where you do because you decided to. You have your current habits because that's what you do every day. You have the body you have because you treated it like you do. You didn't get high blood pressure from one McDonald's meal. You didn't get fit by doing one training session. You didn't build all that muscle by doing one set of bicep curls. You and your body are a direct result from the actions you have taken. 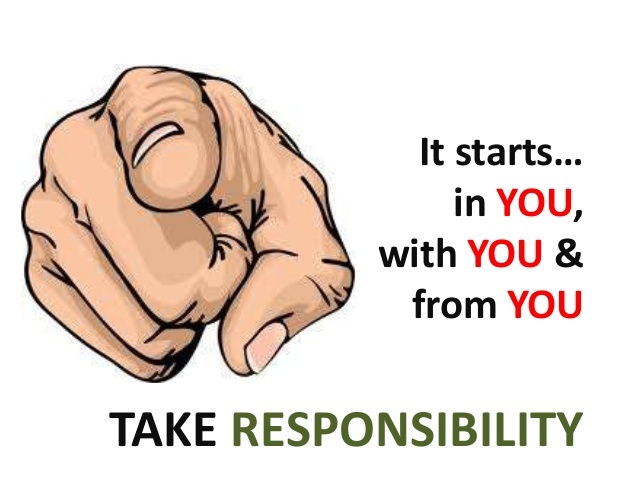 Are you truly taking responsibility, putting your hand up and saying "I deserve this". Good or bad! If you aren't happy with your circumstances, then change them. Not happy with your weight? Start changing your daily habits. One at a time. Discontent with your lack of fitness? Start an exercise program. One day at a time. Pissed off that you don't have what you want in life? Do something about it. One decision at a time. Below, I have outlined 4 simple (NOT easy) steps which you can use to help change your circumstances to get the body and life that you want. Acknowledge what you have done. Write down what needs to change. Create a plan of what you will do differently. How often should you change training programs?